Bottom Line: Reishi mushroom has antioxidant properties and may enhance immune response. Reishi mushroom contains complex sugars known as beta-glucans that stop the growth and prevent spreading of cancer cells. When animals were fed beta-glucans, some cells of their immune system become more active. Limited data from clinical studies suggest Reishi mushroom can strengthen the immune responses in humans. In addition, reishi mushrooms contain sterols that can act as precursors to hormones in the body, along with substances called triterpenes that may have blood pressure-lowering and anti-allergy (anti-histamine) effects. Reishi mushrooms have also been shown to slow the process of blood clotting. 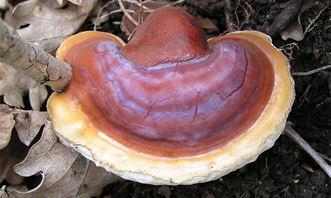 Reishi mushroom can cause toxicity in some immune cells. More studies are needed to show that it is safe and effective for cancer treatment. Laboratory studies suggest that reishi mushroom may stimulate certain cells of the immune system, but evidence is lacking on reishi’s ability fight infections. Laboratory studies suggest that reishi mushroom may lower blood pressure. Human studies are lacking. Laboratory studies suggest that reishi mushroom may stimulate some cells of the immune system. A small clinical trial showed that reishi can enhance the immune responses in advanced-stage cancer patients. More studies are needed. Laboratory studies suggest that reishi mushroom may have anti-histamine effects. This has not been tested in humans. LUTS is common in older men and usually involves problems with bladder filling or voiding. In a randomized, placebo-controlled clinical study, 88 men with slight-to-moderate LUTS were given a Reishi extract (6 mg daily) or placebo for 12 weeks. Reishi extracts more greatly improved LUTS than the placebo. Also, no severe adverse effects were reported. Larger, long-term studies are needed to see if Reishi extracts can improve urinary flow in men with more severe LUTS. You are taking warfarin or other blood thinners (Reishi may increase the risk of bleeding). You are on chemotherapy (Reishi may make some chemotherapy drugs less effective). You are using immunosuppressants (Reishi can stimulate immune responses). If you are taking drugs that are substrates of Cytochrome P450 2E1, 1A2, and 3A (Reishi may increase the risk of side effects of these drugs). Two cases of liver toxicity, resulting in death in one case, have been reported with use of powdered reishi mushroom. A case of chronic diarrhea was reported in a 49-year-old man with non-Hodgkin’s lymphoma following long-term use of a powdered extract of reishi mushroom. Reishi mushroom is a fungus that holds an important place in the traditional medical systems of China, Japan, Korea and other Asian countries for its health promoting effects. It is used as an immunestimulant by patients with HIV and cancer. The active constituents are thought to include both beta-glucan polysaccharides and triterpenes. Extracts of reishi were shown to have immunomodulatory (2) (3) (4) (5) (12), renoprotective (9), anti-inflammatory (36), and hepatoprotective (37)properties both in vitro and in vivo. Clinical studies indicate its benefits in improing lower urinary tract symptoms (LUTS) in men (10) (20), and in exerting mild antidiabetic effects and improving dyslipidaemia (29). Reishi has also been studied for its anticancer potential. In vitro and animal studies indicate that it has chemopreventive effects (21), alleviates chemotherapy-induced nausea (13), enhances the efficacy of radiotherapy (22), and increases the sensitivity of ovarian cancer cells to cisplatin (27). It may also help prevent cisplatin-induced nephrotoxicity (28). In small clinical studies, reishi increased plasma antioxidant capacity (6) (7), and enhanced immune responses in advance-stage cancer patients (8). Remission of hepatocellular carcinoma (HCC) was reported in a few cases in a single study (23). However, further research is needed to establish use of reishi as an anticancer agent (30). An in vitro study reported that reishi mushroom extract has toxic effects in leukocytes (14). More research is needed to determine its safety and effectiveness as an adjunctive cancer treatment. Beta glucans, polysaccharides present in reishi, have demonstrated antitumor and immunostimulating activities (18). Its triterpene compounds may inhibit tumor invasion by reducing matrix metalloproteinase expression (16), and tumor metastases by limiting attachment to endothelial cells (17). Recent findings indicate that reishi induces natural killer (NK) cell cytotoxicity against various cancer cell lines via activation of the natural cytotoxic receptors (NKG2D/NCR) and mitogen activated protein kinase (MAPK)-signaling pathways, which result in exocytosis of perforin and granulysin (31). Reishi polysaccharides were also shown to increase expression of the major histocompatibility (MHC) class I and costimulatory molecules on melanoma cells, resulting in enhanced antitumor cytotoxicity (32). In other studies reishi increased plasma antioxidant capacity (6) (7) and enhanced immune response in advance-stage cancer patients (8). Its extracts also inhibited 5-alpha reductase, an important enzyme that converts testosterone to dihydrotestosterone and is upregulated in benign prostatic hyperplasia (9). Two cases of hepatoxicity, leading to death in one case, have been reported with use of powdered reishi mushroom (24) (25). A case of chronic diarrhea was reported in a 49-year-old man with non-Hodgkin’s lymphoma following prolonged consumption of powdered extract of reishi mushroom (26). Anticoagulants / Antiplatelets: Reishi may increase the risk of bleeding (12). Immunosuppressants: Reishi can enhance the immune responses (8). Chemotherapeutic Agents: Reishi can increase plasma antioxidant capacity, and in theory, can interact with chemotherapeutic agents that rely on free radicals (6). Cytochrome P450 substrates: Reishi polysaccharides inhibit CYP2E1, CYP1A2, and CYP3A, and can affect the intracellular concentration of drugs metabolized by these enzymes (15). Reishi extracts may prolong INR, PT, and APTT (12). Reishi mushroom spore powder may elevate the level of the glycoprotein CA72-4 (high levels of CA72-4 have been reported in several malignancies including gastrointestinal, ovarian, endometrium and lung) (35). Noguchi M, et al. Randomized clinical trial of an ethanol extract of Ganoderma lucidum in men with lower urinary tract symptoms. Asian J Androl. Sep 2008;10(5):777-785. Because G. lucidum extracts have shown variable 5 alpha-reductase inhibition, 88 men with slight-to-moderate lower urinary tract symptoms (LUTS) were given the G. lucidum extract (6 mg daily) that maximally inhibited 5 alpha-reductase or placebo for 12 weeks. Improvements in LUTS as assessed by the International Prostate Symptom Score (IPSS) and urine flow variables were determined. In addition, prostate volume, residual urinary volume after voiding, and adverse effects were also measured. Participants who received the G. lucidum extract had improved IPSS as compared to the placebo group. In addition, no severe adverse effects were reported. Larger, long-term studies are required to determine if G. lucidum extracts could further improve LUTS as well as urinary flow in men with more severe LUTS. Huang K. The Pharmacology of Chinese Herbs. 2nd ed. New York: CRC Press; 1999. Gao Y, Zhou S, Wen J, et al. Mechanism of the antiulcerogenic effect of Ganoderma lucidum polysaccharides on indomethacin-induced lesions in the rat. Life Sci. Dec 27 2002;72(6):731-745. Wachtel-Galor S, Szeto YT, Tomlinson B, et al. Ganoderma lucidum (‘Lingzhi’); acute and short-term biomarker response to supplementation. Int J Food Sci Nutr. Feb 2004;55(1):75-83. Gao Y, Zhou S, Jiang W, et al. Effects of ganopoly (a Ganoderma lucidum polysaccharide extract) on the immune functions in advanced-stage cancer patients. Immunol Invest. Aug 2003;32(3):201-215. Shieh YH, Liu CF, Huang YK, et al. Evaluation of the hepatic and renal-protective effects of Ganoderma lucidum in mice. Am J Chin Med. 2001;29(3-4):501-7. Noguchi M, Kakuma T, Tomiyasu K, et al. Randomized clinical trial of an ethanol extract of Ganoderma lucidum in men with lower urinary tract symptoms. Asian J Androl. Sep 2008;10(5):777-785. Tao J, Feng KY. Experimental and clinical studies on inhibitory effect of ganoderma lucidum on platelet aggregation. J Tongji Med Univ. 1990;10(4):240-243. Wang CZ, Basila D, Aung HH, et al. Effects of ganoderma lucidum extract on chemotherapy-induced nausea and vomiting in a rat model. Am J Chin Med. 2005;33(5):807-815. Gill SK, Rieder MJ. Toxicity of a traditional Chinese medicine, Ganoderma lucidum, in children with cancer. Can J Clin Pharmacol. Summer 2008;15(2):e275-285. Wang X, Zhao X, Li D, et al. Effects of Ganoderma lucidum polysaccharide on CYP2E1, CYP1A2 and CYP3A activities in BCG-immune hepatic injury in rats. Biol Pharm Bull. Sep 2007;30(9):1702-1706. Chen NH, Liu JW, Zhong JJ. Ganoderic Acid me inhibits tumor invasion through down-regulating matrix metalloproteinases 2/9 gene expression. J Pharmacol Sci. Oct 2008;108(2):212-216. Li YB, Wang R, Wu HL, et al. Serum amyloid A mediates the inhibitory effect of Ganoderma lucidum polysaccharides on tumor cell adhesion to endothelial cells. Oncol Rep. Sep 2008;20(3):549-556. Chan WK, Cheung CC, Law HK, et al. Ganoderma lucidum polysaccharides can induce human monocytic leukemia cells into dendritic cells with immuno-stimulatory function. J Hematol Oncol. 2008;1(1):9. Noguchi M, Kakuma T, Tomiyasu K, et al. Effect of an extract of Ganoderma lucidum in men with lower urinary tract symptoms: a double-blind, placebo-controlled randomized and dose-ranging study. Asian J Androl. 2008 Jul;10(4):651-8. Weng CJ, Yen GC. The in vitro and in vivo experimental evidences disclose the chemopreventive effects of Ganoderma lucidum on cancer invasion and metastasis. Clin Exp Metastasis. 2010 May;27(5):361-9. Kim KC, Jun HJ, Kim JS, Kim IG. Enhancement of radiation response with combined Ganoderma lucidum and Duchesnea chrysantha extracts in human leukemia HL-60 cells. Int J Mol Med. 2008 Apr;21(4):489-98. Gordan JD, Chay WY, Kelley RK, et al. “And what other medications are you taking?”. J Clin Oncol. 2011 Apr 10;29(11):e288-91. Yuen MF, Ip P, Ng WK, Lai CL. Hepatotoxicity due to a formulation of Ganoderma lucidum (lingzhi). J Hepatol. 2004 Oct;41(4):686-7. Wanachiwanawin D, Piankijagum A, Chaiprasert A, et al. Ganoderma lucidum: a cause of pseudoparasitosis. Southeast Asian J Trop Med Public Health. 2006 Nov;37(6):1099-102. Zhao S, Ye G, Fu G, Cheng JX, Yang BB, Peng C. Ganoderma lucidum exerts anti-tumor effects on ovarian cancer cells and enhances their sensitivity to cisplatin. Int J Oncol. 2011 May;38(5):1319-27. Pillai TG, John M, Sara Thomas G. Prevention of cisplatin induced nephrotoxicity by terpenes isolated from Ganoderma lucidum occurring in Southern Parts of India. Exp Toxicol Pathol. 2011 Jan;63(1-2):157-60. Chu TT, Benzie IF, Lam CW, et al. Study of potential cardioprotective effects of Ganoderma lucidum (Lingzhi): results of a controlled human intervention trial. The British journal of nutrition. 2012 Apr;107(7):1017-27. Jin X, Ruiz Beguerie J, Sze DM, Chan GC . Ganoderma lucidum (Reishi mushroom) for cancer treatment. Cochrane Database Syst Rev. 2012 Jun 13;6:CD007731. Boh B, Berovic M, Zhang J, Zhi-Bin L. Ganoderma lucidum and its pharmaceutically active compounds. Biotechnol Annu Rev. 2007;13:265-301. Paterson RR. 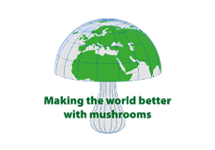 Ganoderma – a therapeutic fungal biofactory. Phytochemistry. 2006 Sep;67(18):1985-2001. Liang Y, He M, Fan X, et al. An abnormal elevation of serum CA72-4 by ganoderma lucidum spore powder. Ann Clin Lab Sci. 2013 Summer;43(3):337-40. Jin H, Jin F, Jin JX, et al. Protective effects of Ganoderma lucidum spore on cadmium hepatotoxicity in mice. Food Chem Toxicol. 2013 Feb;52:171-5.